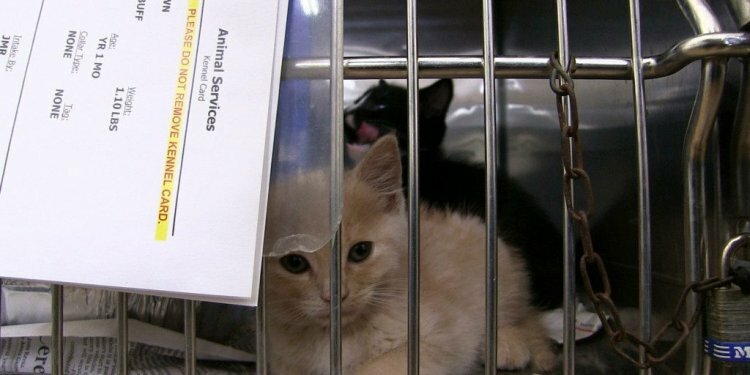 ORANGE COUNTY, Fla. - Animal advocates have been pushing for the county to add air conditioning inside the Orange County Animal Shelter, and commissioners will review the results of a recent study during a Tuesday meeting. The temperature inside Orange County Animal Services can get into the 90s due to the lack of air conditioning and some advocates said cooling off the animals is just common sense. “You think of a shelter as a sort of place to protect or help, and I just assumed there would be air conditioning there, ” said Christine Cavagnaro. Cavagnaro is one of several animal advocates pushing the shelter to install air-conditioning. There are fans and ventilation, but that does little to help during the hottest days. “It's extremely hot. We have extreme temperatures here, so anytime you do walk through the shelter you're sweating for five minutes, ” said Cavagnaro. 9 Investigates learned the county recently spent about $15, 000 to study options. Estimates show the price of air-conditioning ranges from $1.5 million to nearly $3 million, with maintenance and utility costing in the thousands every month. Another possibility is upgrading the current ventilation system at a cost of $350, 000. But that would only drop the air temperature between five and 10 degrees. “We have laws now that we can break dogs out of hot cars in Florida. To me, a shelter should automatically have air conditioning because otherwise it's cruel, ” said Cavagnaro. County commissioners will look at the options Tuesday. Seminole County does not have air conditioning inside its animal shelter either. However, Lake County officials told Channel 9 they have air conditioning inside its animal services building. “Orange County Animal Services recently requested an air conditioning study to assess the total financial impact, challenges and benefits relevant to the installation of an HVAC system within its shelter. The original building, constructed in 1987, featured national design-standard open air circulation with interior kennel runs and access to fresh air year-round for dogs. While the building is equipped with a ventilation system that moves air and helps curtail the spread of disease, it does not produce cool air. In the event that an animal is sick or infirmed, the animal can be cared for in an area of the shelter which does have access to conditioned air, providing relief from rising summer temperatures.